When nations have their backs against the wall and are facing a fight for their existence, there tends to be an abundance of rather unusual weapons. Some of the weapons developed by the Home Guard in Great Britain in the Second World War, like the Northover projector, are good examples of this. Italy, with a long tradition of firearms manufacture, was no different and already had extensive experience with grenade firing and small mortars. In 1943 though, their mainland had been invaded by the Allies as they had already lost control of the island of Sicily. Tank production was in a poor state and the Allies’ superiority with tanks left a very bleak outlook for the Kingdom of Italy in the War. An expedient anti-tank weapon was called for. The call for this expedient and simple anti-tank weapon came from the Ministry for War prior to the armistice of the 8th September 1943. It was to combine parts from a mortar and a carbine fitted together to form a rather crude, very large caliber gun firing a shaped charge shell. The Italians had already produced a production model carbine with an attached grenade launcher which used a bullet capture system as far back as 1928. This was along very similar lines to the new requested weapon and may have served as some of the inspiration behind it. The Technical Section of the Ministry for War had already made some preliminary experiments prior to September 1943 and the results were promising. The weapon was given the go-ahead but, by the time of the armistice, only a single experimental prototype had actually been constructed, although performance trials were underway by September 1943. With just this one prototype constructed by the time of the armistice, the unidentified Italian officer in charge of the project hid the weapon and all of the paperwork associated with it, to prevent it from falling into the hands of the Germans. When the Allies entered Rome in June 1944 this hidden secret weapon and associated paperwork was removed from its hiding place and taken by the Italian officer to the US Army G-2 Headquarters in Rome (APO 794). The weapon was examined by Major Russell Fisher and the design was closely discussed between him and the Italian officer who even offered to demonstrate the weapon, as he claimed to have fired the weapon many times, from a standing position without difficulty. This offer though was not carried out. The experimental model was, like most prototypes, rather crude. It was made by means of a redundant 60mm mortar tube and a cut down stock from a carbine fastened together. The 60mm shell was propelled from the barrel by means of a black powder cartridge inserted into the breech of the carbine under the barrel. The drawings do not appear to show any variation from the original magazine or firing mechanism of the Model 91 rifle and therefore it is believed it would use the same 6.5x52mm cartridge. 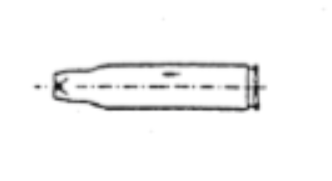 Upon a pull of the trigger, this blank round was fired in the manner of a normal bullet except that the explosive gases upon leaving the very short barrel, instead of propelling a bullet, were directed into a large expansion chamber under the mortar barrel and then directed to the mortar round. 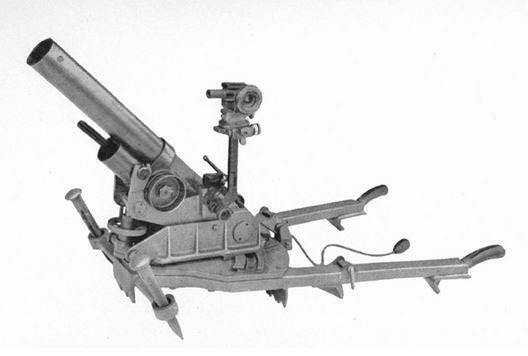 Just like the smaller Brixia mortar, this weapon was fired by means of a magazine fed blank cartridge and a rapid rate of fire would be able to be obtained. Reloading would be by the simple means of putting a new shell into the barrel at the muzzle and then cycling the bolt action of the rifle to chamber a new blank cartridge. The rifle had a six-round clip inside and, assuming these blank rounds simply replaced the old live rounds, only shells would have to be loaded for the first six rounds. The expanding gasses released from the combustion of the 1.9 grams of ballistite in the blank cartridge were directed into the expansion chamber. This chamber was connected by two short barrels backward (towards the firer) and into the breach of the 60mm mortar tube. This unusual mechanism had the disadvantage that not all of the propulsive force of the black powder charge was directed to the mortar round. A lot of energy was lost. 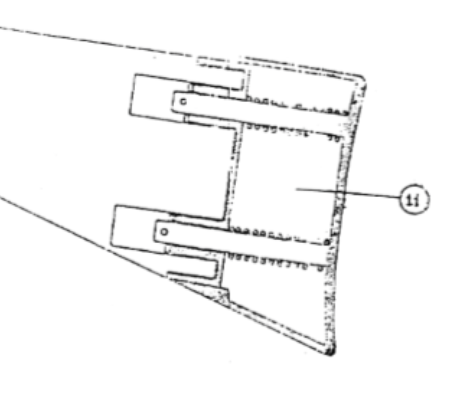 It had a significant advantage, however, that the pressure rise in the barrel was very even, permitting a consistent rise in pressure for the propulsion of the shell. The interview with the Italian officer yielded information that, over the course of its short development, various expansion chamber sizes were tested out in order to achieve the required balance in the pressure gradient within the weapon. Illustration of the 60mm Lanciabombe by Andrei “Octo” Kirushkin and paid for with funds from our Patreon campaign. Recoil was managed in two ways. The first was a very simple spring loaded mechanism in the buttstock of the weapon cushioning the shoulder of the firer. The second part of the recoil management was more complicated, far too complicated for a weapon meant to be an expedient design. This system consisted of a slide onto which the main barrel was mounted. This slide permitted the barrel to move backward and this motion was dampened by means of a spring. The shell itself was very similar to the rather small 45mm Brixia mortar shell and was a short shell just under 30cm long with a rounded nose. The explosive body containing the charge was attached to an aluminum tail section with eight fins approximately 12cm long. This 60mm round weighed just 0.85kg and contained 370 grams of T4 (trimethyl trinitro amine). The explosives were arranged around an inner cone made from steel and a hollow front section. The rounded nose was a simple cap made from steel. The charge was detonated upon striking a hard target by means of an instantaneous fuze in the base of the projectile. 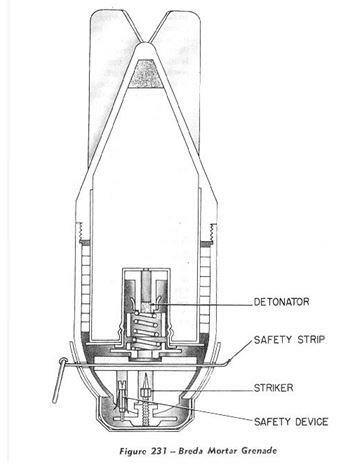 This was the same type of fuze used in the Brixia mortar, although work on an armor-piercing shell for the Brixia was discontinued by 1941. 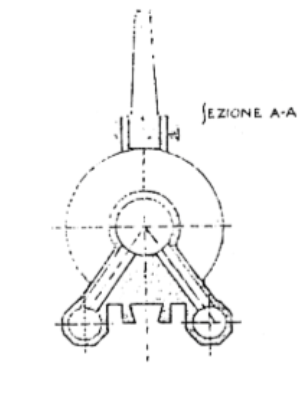 The fuze would therefore almost certainly be of an all-aluminum construction like the Brixia M.1939 fuze. The propelling gases could throw this small shell accurately out to a range of 80 meters in a flat trajectory and when fired in a high arc a maximum bombarding range of 250 meters. Armor penetration was by means of the shaped charge and was found to be able to defeat up to 70mm of armor on a test target consisting of plates of 30 and 40mm thick armor. The weapon never reached production status and the war had already progressed well past the point where even if it had been in mass production it would have made any effective difference. The war for the Axis was lost and this weapon was just one of innumerable lost prototypes and projects. It had no effect on the war but was a novel solution to the problem of a shoulder-fired anti-tank weapon. The current location of this weapon handed to the Americans in 1944 is not known. Rifle, Anti-Tank, .55in, Boys "Boys Anti-Tank Rifle"
Sort of the grandfather of the M-79 grenade launcher.